Columbus Day: Should It Remain a Federal Holiday? 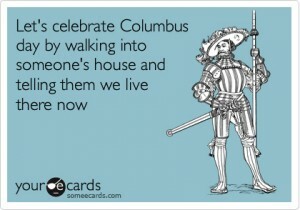 This is how some opponents view Columbus Day. A number of folks in D.C. have the day off due to Columbus Day. But what exactly are we observing today? Columbus Day became an official holiday after Italian immigrants lobbied for the recognition of Christopher Columbus, an Italian. In 1937, Franklin Roosevelt instituted the first federal-level recognition of the day. But in recent decades, Native American groups have pushed for the abolition of the holiday and for the creation of Indigenous People’s Day. Some say Columbus deserves little recognition as he “discovered” a land already inhabited by people. Others view the holiday as honoring a man who ushered in a mass genocide. 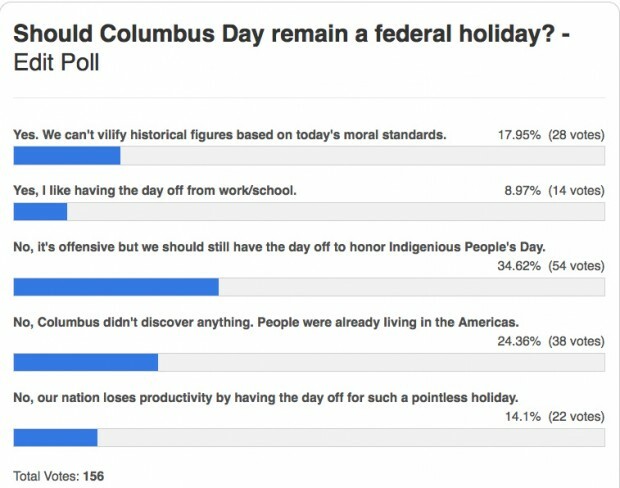 Should Columbus Day remain a federal holiday?